Columbia Records has announced the upcoming release of Barbra Streisand’s The Music…The Mem’ries…the Magic! album to debut on December 8th. Fans can pre-order the new album today HERE. On November 22, Netflix will premiere Barbra: The Music…The Mem’ries…the Magic! The special was filmed on the last stop of the iconic superstar’s 13-city 2016 tour, showcasing a career-crowning array of legendary songs also featured on the eagerly anticipated album. The 13 city tour received rave reviews and played to record-breaking sold-out audiences. 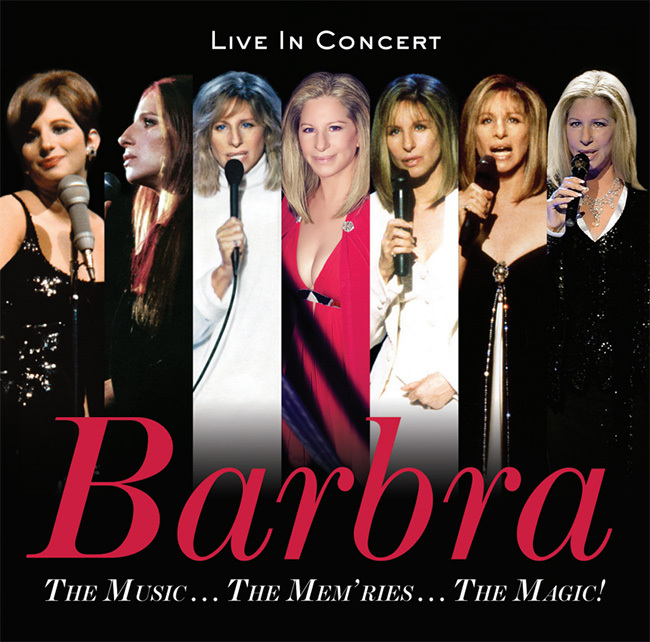 The Netflix concert TV special, Barbra: The Music…The Mem’ries…the Magic! was directed by Jim Gable and Barbra Streisand and written by Barbra with Jay Landers and Richard Jay-Alexander. The special begins streaming on Netflix at 12:01 AM on November 22. Barbra Streisand has recorded 52 gold, 31 platinum and 13 multi-platinum albums in her career. She is the only woman to make the All-Time Top 10 Best Selling Artists list. Streisand has had 34 albums make the Top 10 on the US charts, the only female artist to have achieved this milestone, tying her with Frank Sinatra. She is also the female artist with the most number one albums in Billboard’s history. Widely recognized as an icon in multiple entertainment fields, she has attained unprecedented achievements as a recording artist, actor, concert performer, producer, director, author and songwriter; awarded two Oscars, five Emmys, ten Golden Globes and eight Grammys plus two special Grammys, among other numerous awards, Barbra Streisand belongs to a select multi-hyphenated “EGOT” club for artists who have received the Emmy, Grammy, Oscar and Tony Awards.